On examining the following day some distance up and down the river, I saw evident marks of the river overflowing its banks, and this made me resolve on the first site I had chosen, my instructions from Commissioners being peremptory as to the responsibility of this choice devolving upon myself – for although I was allowed to pay respect to the Governor’s opinion, yet my own judgement on this point was to be paramount and conclusive. Light also noted his concern “with the best method of laying out the town according to the course of the river and the nature of the ground”. The chosen site “was on a beautiful and gently rising ground and formed altogether a better connection with the river than any other place” (MacDougall 1839). Adelaide City is thus beautifully sited on the gently undulating plains between Gulf St Vincent and the distinctive crests of the Mt Lofty Ranges. The River Torrens, set in a valley, provides the scenic northern edge of the city and attracted early development due to the availability of fresh water and ready access to Port Adelaide. Early Adelaide buildings were of imported timbers, or rammed clay and straw between timber slats (pug-and-pine), with a thatched or shingle roof. Although timber was in short supply, limestone was plentiful, more than half the town being upon a bed of limestone (Colwell & Naylor, 1974). A shallow limestone quarry was established on the riverbank where the Torrens Parade Ground now stands. Bricks were made from the alluvial red-brown clays excavated at Walkerville, Bowden, Brompton, and Croydon. Sand-washing was practised along the River to provide useful building material. 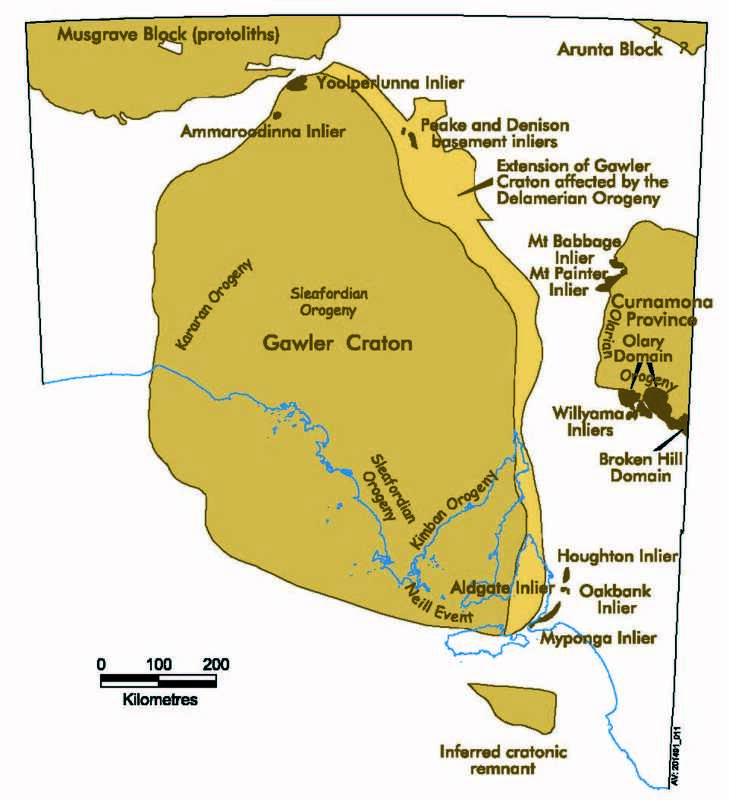 Adelaide is situated on the plains formed by the merged alluvial fans (red-brown clays, sands and gravels) deposited by numerous creeks emerging from the Mt Lofty Ranges (Fig 1). These creeks, as well as the River Torrens, have cut deep gorges, with rapids and waterfalls (Waterfall Gully) indicating a youthful topography resulting from the ongoing gradual uplift of the Ranges relative to the plains. Regular earthquake tremors, and rare stronger earthquakes support this view. Boreholes into hard rocks of the Ranges become distorted, showing that the crust is being squeezed towards the northwest, resulting in their slow uplift. The rate of uplift of the Ranges can be estimated as over 12m in the last 120,000 years. Fig 1. 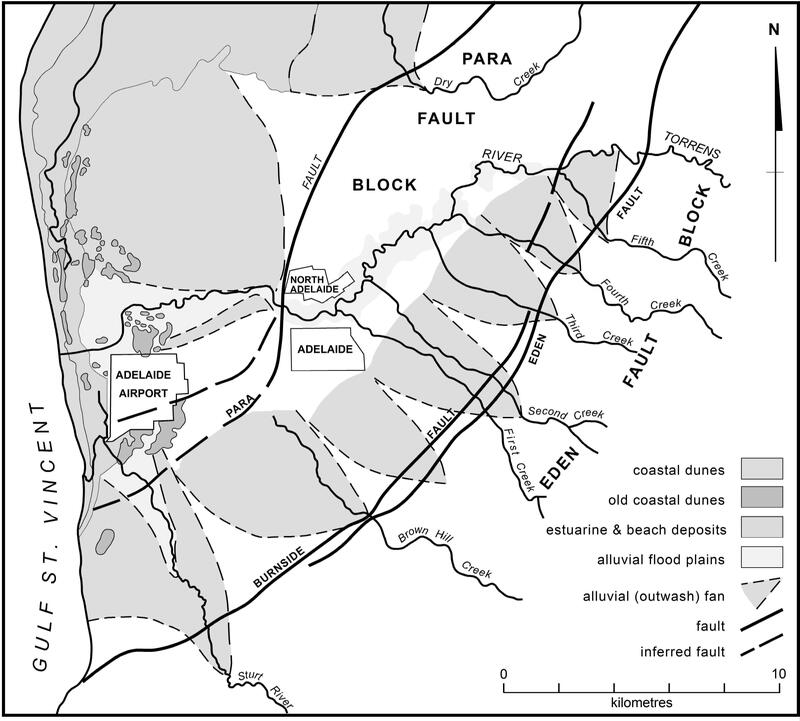 Adelaide Plains and western slopes of Mount Lofty Ranges, including diagrammatic representation of alluvial fans associated with major streams (after Aitchison et al. 1954; Twidale 1976). While the main uplift has occurred along the curving Eden-Burnside Fault, forming the Hills-face zone, the Para Fault and other faults have also been active. These can be seen in the simplified block diagram of the Adelaide region, showing the general topography with the southward-tilted fault blocks (Fig 2). Hence, driving south along South Road the steep rise up Tapley Hill or the freeway is followed by the gentler slopes towards Noarlunga; and similarly after crossing the Onkaparinga River the steep rise is followed by the gentle slope into McLaren Vale and the Willunga Basin. Fig 2. Simplified block diagram of Adelaide region showing general topography formed by tilted downfaulted blocks containing mainly marine Tertiary and younger sediments (45 million years to present) of St Vincent Basin (yellow). For most of the last million years, world sea levels were 40-60m below their present level, and Gulf St Vincent was largely the continuation of the Adelaide Plains. During this time the climate changed from seasonally wet to predominantly arid, creating the widespread calcareous soils and calcrete (used in early Adelaide buildings). Sea levels fluctuated regularly in response to the enormous continental ice caps in the northern hemisphere. During the warmer inter-glacial periods sea levels rose and the latest inundation of Gulf St Vincent took place from 9,000 to only 6,000 years ago, creating our present active coastline. Numerous water bores and deeper geological drill holes have indicated that the sediments underlying the younger alluvial fans form part of a once extensive St Vincent Basin. During the Tertiary Period, from 45 to 5 million years ago, this Basin extended from the Mt Lofty Ranges west to Yorke Peninsula. Between 5 and 4 million years ago the eastern side of this Basin became separated into the Noarlunga, Willunga, and Meadows Embayments, along a set of curved faults (Fig 2). The earlier Tertiary sediments of the St Vincent Basin, now best seen to crop out along the coast from Maslin south to Port Willunga, illustrate the environmental changes from the oldest river sands (North Maslin Sand), to coastal peat swamps (now lignite) and estuarine muddy sands. In turn these are overlain by fossiliferous shallow marine silts rich in sponge spicules (Blanche Point Formation), topped by mollusk-rich, bryozoal limestones (Port Willunga Formation). The same sequence of Tertiary sediments is present directly under Adelaide, as seen in the detailed geological cross-section from North Adelaide south to Greenhill Road (Figs 3 & 4). Here these Tertiary strata are tilted southward, and increase in thickness to over 100m at Greenhill Road. Overlying these tilted layers, is a sub-horizontal erosion surface (unconformity) overlain by 1-4m of fossiliferous shallow marine sandstones and sandy limestones (Hallett Cove Sandstone) usually well cemented, that was originally quarried at the current Torrens Parade ground. Figure 3 shows a schematic E-W cross-section from the youngest coastal sediments at Le Fevre Peninsula up to the ancient rocks of the Mount Lofty Ranges. 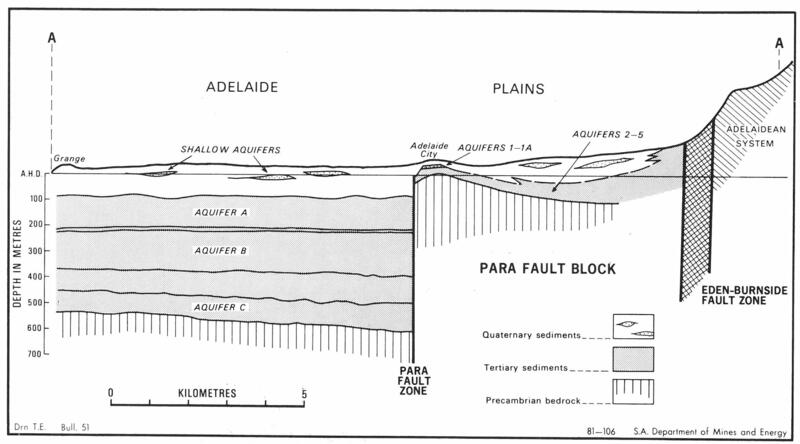 The Para Fault (Figs 1,2,3) lies just west of North Adelaide, west of West Terrace, Adelaide, and runs south towards Merino Rocks. It has elevated the eastern side some 25 meters relative to the western, allowing the River to create a well-defined valley at, and upstream of, the City. West of the Para Fault the Torrens regularly flooded the land and later spilled into the Torrens Reedbeds, now partly converted into Westlakes. Clearly the observations of Colonel Light ensured that the city of Adelaide was sited on elevated ground, above any risk of flooding. Fig 3. 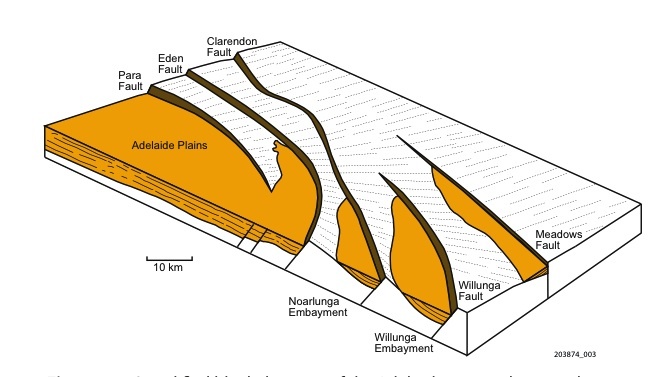 Simplified cross-section from Grange eastwards to Mt Lofty Ranges showing effects of faulting on topography of Adelaide region. The hardest and oldest rocks forming Mt Lofty Ranges and “basement” to Adelaide city are Precambrian Adelaidean System (after Selby & Lindsay 1982). The geological history involving this long Tertiary period can be best interpreted by the onset of extensive crustal stretching (extension) following the rapid separation of Australia from Antarctica – its Gondwana parent. Such stretching thinned the crust, 45 million years ago, allowing many subsiding basins to form, including Bass Strait, Murray Basin, Gulf St Vincent, Spencer Gulf and Eucla basins (part of the Great Australian Bight). As these basins subsided they were filled both with sediments eroded from the nearby hills and with major contributions from biogenic (plant and animal) material generated in the shallow seas (creating the fossiliferous limestones). Fig 4. N-S cross-section from North Adelaide directly south along King William Street to Greenhill Road showing tilted Tertiary strata (45-10 Ma = million years) under Adelaide, overlain by horizontal calcareous Hallett Cove Sandstone (4-2 Ma) and younger alluvial Hindmarsh Clay deposits. 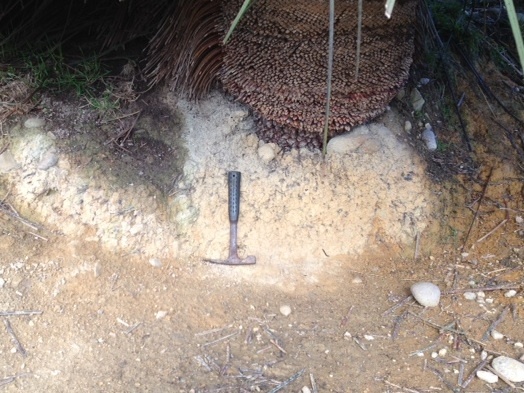 River Torrens has cut a shallow valley into underlying deposits. (Alley & Lindsay, Ch19, in Drexel & Preiss, 1995, Fig 10.14). Around 5 million years ago the crustal stresses changed from extension (stretching) to compression. 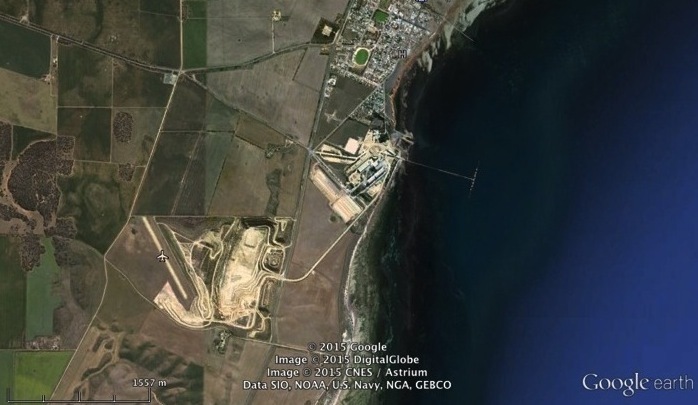 This affected the eastern side of St Vincent Basin by elevating and gently tilting the sedimentary layers southward, and forming the separated Noarlunga, Willunga, and Meadows Embayments. Erosion removed the upthrown edges of the tilted blocks, and deposited the thin Hallett Cove Sandstone on the eroded surface. Further compression in the last million years elevated the Mt Lofty Ranges allowing the westward flowing streams to create gorges, with extensive alluvial fans composed of clays, sands and coarse gravels (Hindmarsh Clay, Pooraka Formation etc.). Most of the groundwaters available under Adelaide and its suburbs are derived from porous sand-rich strata belonging to the St Vincent Basin. Firm foundations for the high-rise office buildings in Adelaide are also sited in these sedimentary layers. 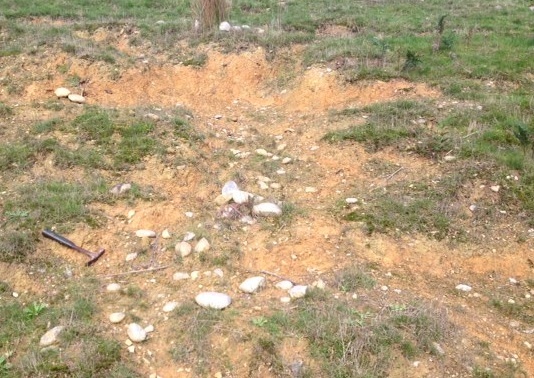 Details of the engineering geology under Adelaide may be found in Selby and Lindsay (1982). But there is an older story to tell: that of an intense glacial time some 290 to 270 million years ago (Carboniferous-Permian), when most of Australia was covered by thick ice caps, and it was part of a huge Gondwana supercontinent. Glacial remnants with exotic granite boulders and glacial striations indicate that the ice moved northwestward away from the once juxtaposed Antarctica. Patchy but numerous outcrops of these sediments remain exposed from Victor Harbor and the Inman Valley to Hallett Cove and beyond. They indicate that surprisingly limited landscape denudation has transpired since their deposition under glacial conditions over 270 million years ago. If we were to strip away all of the blanket of Tertiary and Permian sediments described above, what do we see? We encounter the ancient hard rocks that today form the Adelaide Hills including the Hills-face Zone south to Marino Rocks and thence to Port Stanvac. In contrast to all younger sedimentary layers, these are now intensely folded, lithified and faulted, constituting the real “basement” to Adelaide’s geology. Formed during a previous grand tectonic cycle, this ten-kilometer thick Adelaidean Sequence began depositing some 850 million years ago with the rifting and break-up of an ancient supercontinent of Rodinia. Apart from some basaltic volcanic flows, most of this thick sedimentary sequence was originally deposited as shallow marine sediments, like sandy deltas, limestone shoals with reefs, and deeper-water shales. 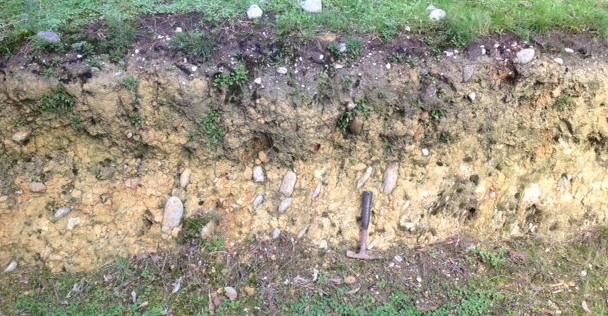 At least two intervals of glacial marine sediments are included (eg. Sturt Tillite as at Sturt Gorge): these had formed as a vast new Pacific Ocean opened up where much of Eastern Australia now exists. Preserved fossils indicate organic evolution from simple bacterial cells and green slime depositing limestones (stromatolites), to complex multicellular soft-bodied animals like sea-pens, flat worms, and jelly fish. These have made the Flinders Ranges world famous, resulting in the formal naming of the Ediacaran Period as a new geological time period. This very thick sequence ended with deposition of largely marine and richly fossiliferous Cambrian limestones and other sedimentary rocks (530 to 520 million years ago). Fossils included those of numerous molluscs, brachiopods, corals, trilobites, all in a great burst of evolution. These Cambrian sedimentary rocks outcrop today in Fleurieu Peninsula and on Kangaroo Island. Around 500 million years ago the above sequence was folded, faulted an consolidated by east-west compression. The burial and intensity of heat and pressure (metamorphism) increased eastward and southward where granites were intruded (eg. Reedy Creek, Victor Harbor). Many Adelaide buildings are constructed from these very hard rocks (see also www.sa.gsa.org.au/Brochures/North_Terrace_final1.pdf). This mountain building activity, called the Delamerian Orogeny, created a fold-mountain belt several kilometers high extending from Kangaroo Island, through Fleurieu Peninsula to Adelaide and north to the Flinders Ranges. The topography then was probably similar to that of the Pyrenees today. 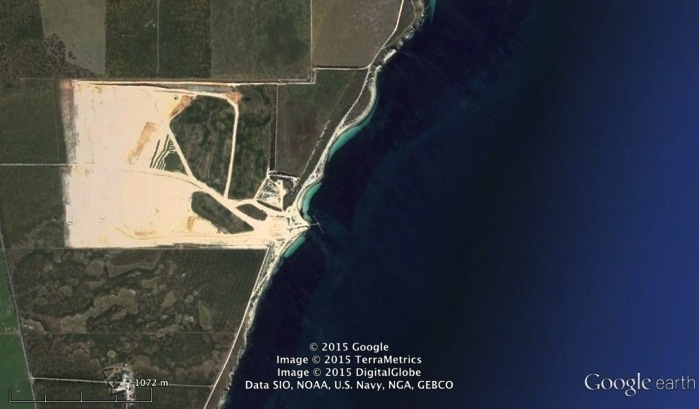 A prolonged period of erosion followed when many kilometers of crust were removed. During this time most of eastern Australia lay under the ocean, slowly growing in continental crust. The rocks under and around Adelaide can be grouped into four major sequences formed in distinct episodes, and taking different lengths of time. The oldest and hardest rocks form the deep basement to the city, and crop out in the Mt Lofty Ranges, the hills face zone, and coastal cliffs from Marino Rocks to Port Stanvac. 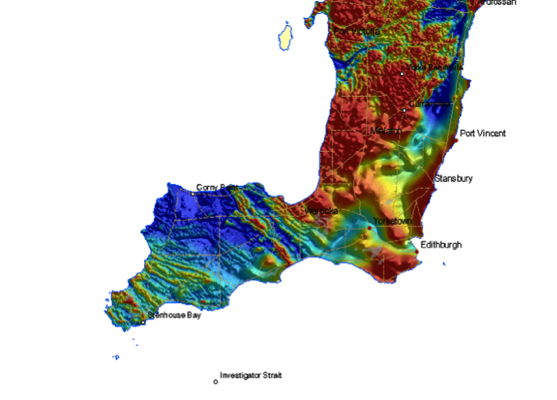 The second episode (Carboniferous-Permian) saw South Australia completely covered by a thick ice cap, with the ice spreading northwestward and grinding deep valleys into the landscape. The third episode saw Australia separate from its Gondwanan supercontinent and as the thinned crust sagged, in the Tertiary, the St Vincent Basin subsided and began filling with river sands and coal swamps. Extensive warm shallow seas followed, depositing marine shelly and bryozoal limestones. These form both the aquifers of suburban Adelaide and foundations to the high city buildings. The fourth episode, bringing Adelaide to its present situation, began about five million years ago with the onset of crustal compression that resulted in the present uplift of the Mt Lofty Ranges. 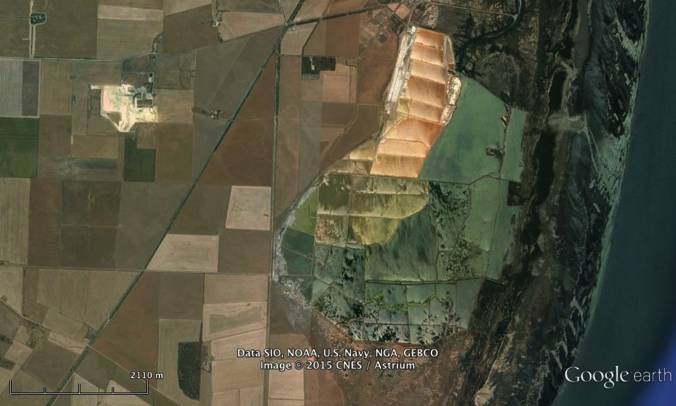 The erosion of deep gorges and westward spread of the alluvial fans created the red-brown clays that form many soils of the Adelaide Plains. Colwell M & Naylor A 1974. ADELAIDE An illustrated history. Lansdowne Press, Melbourne. Drexel, JF & Preiss, WV (eds) 1995. The Geology of South Australia. Vol.2, The Phanerozoic. 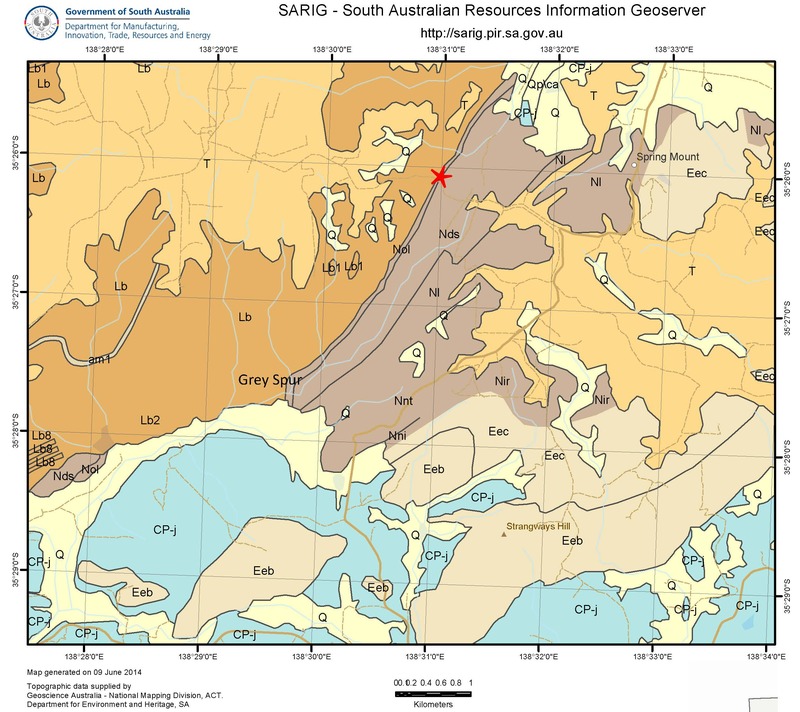 South Australia Geological Survey. Bulletin, 54. MacDougall A 1839. A Brief Journal of the Proceedings of William Light, Late Surveyor-General of the Province of South Australia; With a Few Remarks on Some of the Objections that Have Been Made to them. The Royal Geographical Society of S.A. Inc. Library, Adelaide. Selby J & Lindsay JM 1982. 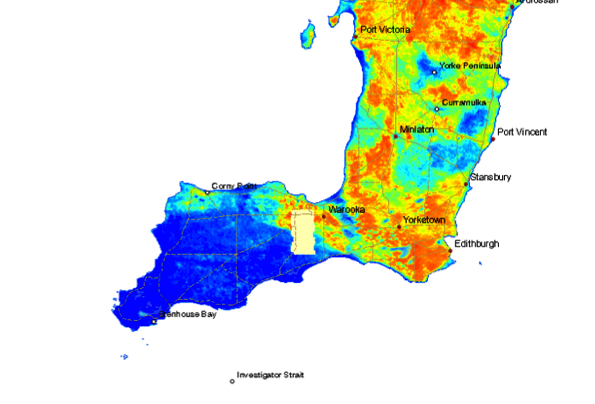 Engineering Geology of the Adelaide City Area. Dept. 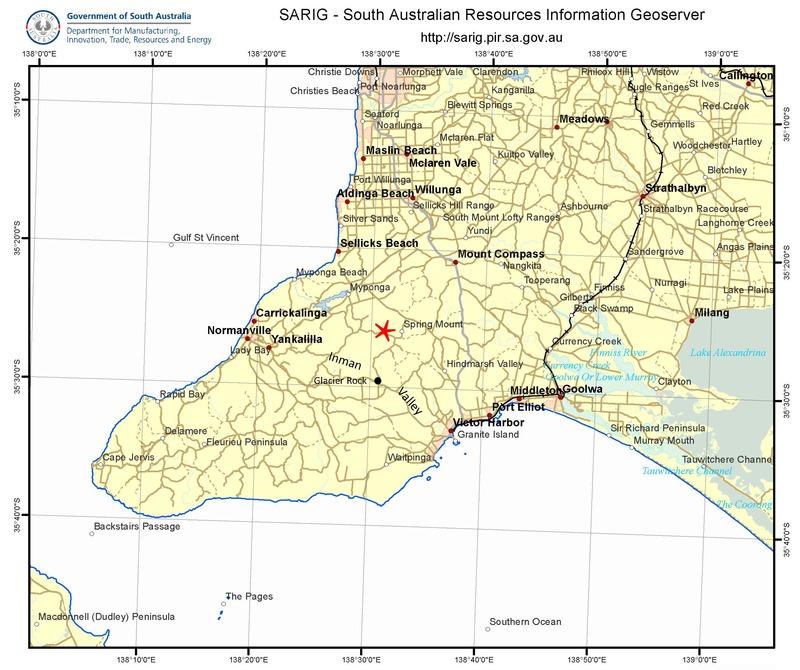 Mines and Energy, Geological Survey of South Australia, Bulletin, 51. Twidale, CR 1976: Geomorphological evolution. In: Natural History of the Adelaide Region (eds. Twidale, CR, Tyler, MJ & Webb, BP). Royal Society of South Australia. Adelaide, pp. 43–59. Article by Associate Professor V Gostin. First published in bibliophile (ISSN 1033436X), 13 (4) December 2014. 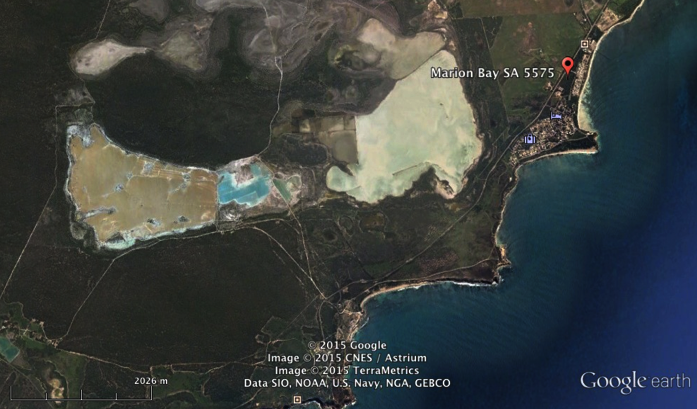 This entry was posted in Geological history, Geosciences education on February 2, 2015 by tony milnes.